Come run with us to support local non-profits! Join Salish Wealth Management at the Salish to Salish 10K run this October and help support local non-profit groups at the same time. Enjoy a free pancake breakfast at the finish line and bring the family along! REGISTER NOW – Early-bird registration runs until September 28. The entry fee is $20 until September 28. Afterward the entry fee will be $30. For more info about this year’s non-profit partner, Skookum Kids, click here. Starting at the Salish Wealth Management office in Barkley Village, Salish to Salish 10K will follow streets, beautiful trails and parks across town and finish along the bay at Zuanich Point Park. And then a few extra feet to the pancake tables at the finish line. This event is designed for runners and walkers of all levels. The Salish to Salish 10K is ideal for serious runners looking for a competitive or training race as well as those looking for a fun family-friendly event! This course is not necessarily wheelchair, assisted wheelchair or stroller friendly. WHAT IS THE SALISH TO SALISH 10K? This race is an opportunity for local businesses and non-profits to partner together and raise funds to support the teams of people in our community tackling tough issues. Salish Wealth Management covers the cost of the race so 100% of donations from our sponsors can benefit that years’ Whatcom County non-profit group. Each registration includes a tech t-shirt, medal and swag bag. 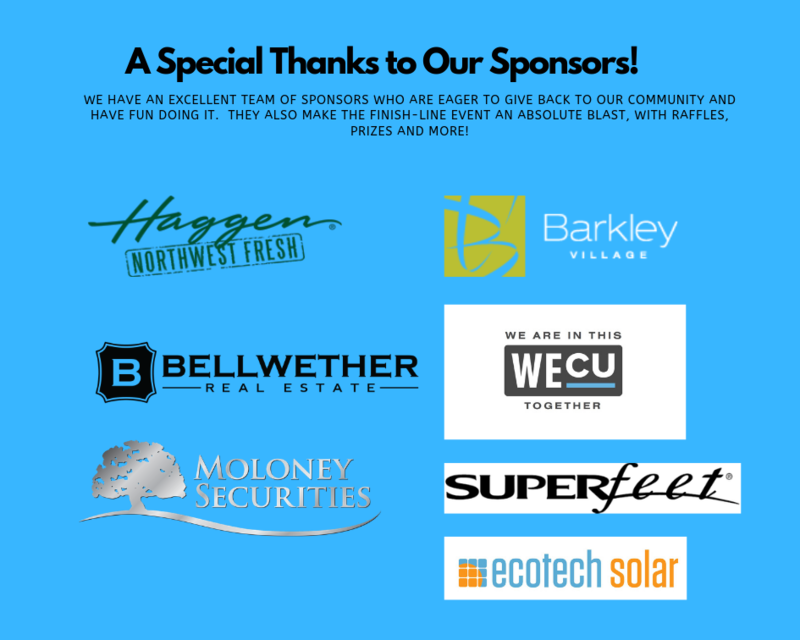 We have a fantastic team of sponsors who are eager to give back to our community and have fun doing it. They also make the finish-line event an absolute blast, with raffles, prizes and more! If you have any questions please e-mail Joel at admin@salishwm.com.